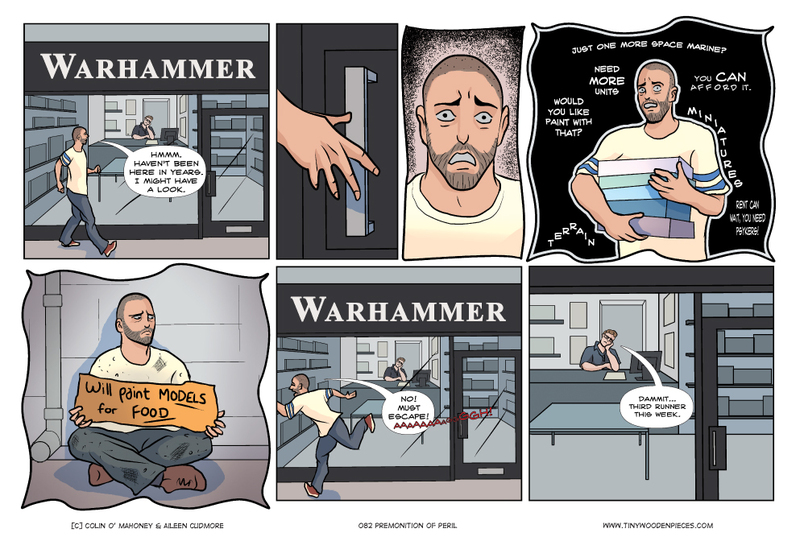 They’re called Warhammer stores now, which is new. No longer Games Workshop, as it was in my day. Or indeed, until very recently. Orks were my poison, back in the day. Legions of bloodthirsty boyz, red-striped bikes, gretchin swarming over everything, and oodles of colourful, inventive, backfiring artillery. These days, X-Wing is the furthest into miniatures territory I’m willing to tread. Small, pre-painted forces make for a game that doesn’t take an excess of time or money to get to the gaming table. And as much as I like the idea of large scale battles and turn-based strategy, I’m very happy to stick with X-Wing. Speaking of which, the big news this week was Fantasy Flight Games announcing yet another incredible looking Star Wars board game. And, as ever, it was completely out of the blue, without even a ripple in the force to foreshadow its arrival. The game bills itself as an ‘epic conflict’, and epic it does seem to be, with 150 miniatures and a board taking in thirty-two systems from the Star Wars galaxy. Without a designer credit or much in the way of gameplay details, it’s obviously hard to tell exactly how good (or not) it’s going to be. On the other hand, you can control a Death Star, and if you wish, actually destroy planets with it. So I’m sold, one way or another. Perhaps mercifully though, the game is not out before Christmas, which means Aileen will be getting a Christmas present and not just an apology for the fact that I’ve blown all my money on a giant Star Wars game. It also means that Pandemic Legacy is still holding the top spot for our Christmas-present-game. Thanks for the feedback on that, everyone who commented a few weeks back. FF oddly tend not to include designer in initial announcements on their website. I will now proceed to check that designer out, haven’t heard of him. He’s been a designer on some of FFG’s biggest titles: Battlestar Glaactica, Starcraft, Twilight Imperium, Mansions of Madness, Gears of War, Eldritch Horror, and some of their Star Wars titles (X-Wing and Imperial Assault). Not an unknown entity in the boardgaming world. Sounds really promising! Even more excited! This calls for … more exclamation marks!!! Now they make it possible to play super-ultimate-epic Star Wars. Play this game and instead of just rolling dice when capitol ships fight you engage in a game of Armada, when star fighters meet up play a game of X-Wing and when a planet is invaded play an Imperial Assault skirmish. That would make this the longest and most awesome Star Wars experience ever! That Rebellion game reminded me (only from the looks) a PC game “Empire at War”, which i liked, especially the space battles and some of the planetary management parts. Some call it the TI3 in SW universe already, though it is too early to judge and there is no eXploration part in it as i see. T3 is probably a stretch alright, but it definitely looks more involved that Armada or X-Wing. Glad I didn’t make the plunge on FFG’s Forbidden Stars a few months back, this looks like it will fill that slot in our collection, but in a better, more Star Wars-y way. The more Star Wars the better! Seriously? They’re called Warhammer stores now? I think over here they’re still called Games Workshop… Or at least they still were as of last year. But yeah… I collected Fantasy back in the day. Then the whole money thing stopped that. >.< Hopefully when I'm no longer a student I may take it back up again. Apparently Forgeworld is releasing pre-heresy/heresy-era armies. Now that would be something I'd go for. The Forgeworld stuff is nice, but even more expensive. They have an upcoming Heresy-era board game, apparently, some kind of dungeon crawl type thing? I do love the world and the lore, and the Space Hulk game is amazing, so I’m interested to see what this turns out to be like. Yeah, any time that I am ever tempted by a particularly cool game, or unit, or model, the pricing is always enough to temper my enthusiasm. And there are just so many amazing board games out there.